Amazon could bring upwards of 40,000 to 50,000 jobs to the region. Should we secure the contract, we must begin a community-driven development process that ensures these are good jobs that allow low-income people of color to afford housing in our communities. Companies like Amazon offer secure, well-paying jobs for their corporate employees. But warehouse workers, who are the backbone of their business model, are typically underpaid with few to no benefits. Tech companies circumvent labor protections by hiring workers on a temporary basis or as “subcontractors” who are not official employees. If Amazon comes to the Bay Area, its profits should enrich everyone who contributes to the enterprise — including construction, service, and warehouse workers. The groundbreaking jobs policy for the Port of Oakland’s new warehousing complex can serve as a model. 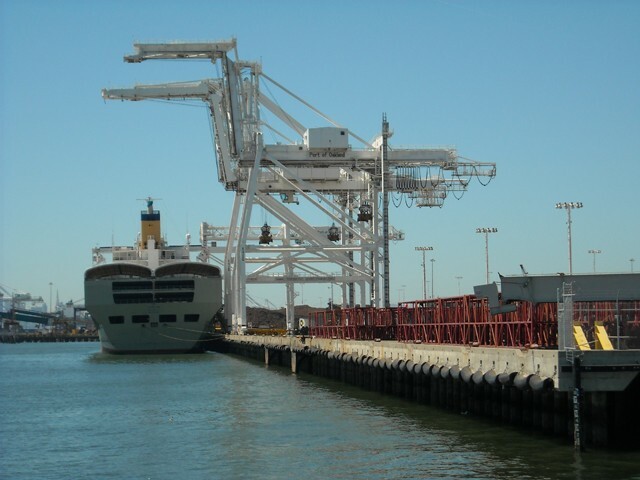 After 20 months of negotiations, community leaders and the Port of Oakland recently reached an agreement that sets a new high-road standard for the warehousing industry. Agreements like this ensure that companies like Amazon do not contribute to the rampant displacement of people of color from our homes and neighborhoods. First, all jobs at the port’s new warehousing complex will pay living wages with annual cost-of-living increases — far from guaranteed for many warehousing workers. There will also be local hire requirements, so that the low-income communities surrounding the port will have first dibs on new jobs. Second, limits on temporary employment will create more stable, full-time jobs. Companies also cannot skirt the agreement by contracting out. Whether workers are direct employees or subcontractors, they are covered by the policy and have equal protection. Finally, one of the strongest “Ban the Box” policies in the country gives formerly incarcerated workers — primarily Black folks — a fair chance at success. Employers at the port will not be able to use conviction history to discriminate in the hiring process. This promotes equitable job access — crucial for those who are trying to get back on their feet and raise their families with dignity. Whether it’s Amazon or another large-scale development project, the Bay Area should look to the port agreement as an example of what’s possible when communities make demands of companies, and not the other way around. Amazon is looking for cities to invest public money and tax breaks at the community’s expense. That dynamic must be flipped: What will Amazon provide for the community? Will it be just inaccessible tech jobs — or will the company create jobs for those in our communities who can’t keep up with skyrocketing rents? People of color and working families are the biggest casualties of the Bay Area’s housing crisis. We are being pushed out of the area at an alarming rate, forced to commute for upwards of two hours to jobs that may not even cover the cost of gas. We need more affordable housing, but we also need good jobs — and access to those jobs — in order to keep a roof over our heads. Because it was forged with the leadership of the community, the port’s new jobs policy will help low-income communities of color stay in our homes and neighborhoods. Any Amazon deal must go through a similar process, with the goal of achieving the same. Jahmese Myres is deputy director of the East Bay Alliance for a Sustainable Economy and an Oakland planning commissioner. Nikki Fortunato Bas is the executive director of Partnership for Working Families.